If we cooperate with the grace of the Holy Spirit, we become more and more like Christ. Sometimes we lose the passion of our first love for the Gospel. For this reason, we need to be re-evangelized in order to receive a greater outpouring of the Holy Spirit. This Life in the Spirit Seminar facilitates a personal conversion, initiates a renewed involvement in evangelization, and helps to become personally and passionately engaged in the Kingdom of God. 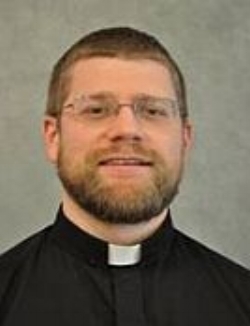 Father Michael B. Voithofer is the associate pastor of St. Gerald’s in Ralston, NE. His experience of the Holy Spirit while studying Architectural Engineering at Penn State University transformed his life. Through a ministry called Ablaze, Fr. Michael helps people open themselves up to the Holy Spirit’s power. Visit www.ablazeworship.org.